Regardless of whether you're Team Edward or Team Jacob, you'll want to sink your teeth into these decadent jewelry design ideas. 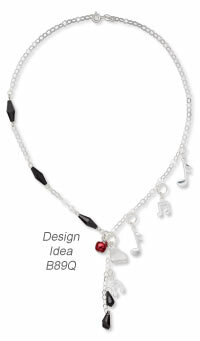 Inspired by "Twilight," the popular vampire book and film series, the intriguing jewelry pieces are certain to encourage trendy accessory lines that will be eaten up by Twihards. Some of the Twilight-inspired designs are literal interpretations of Bella's jewelry, like the charm bracelet featuring a wolf Bella received from Jacob, to which Edward added a diamond heart. 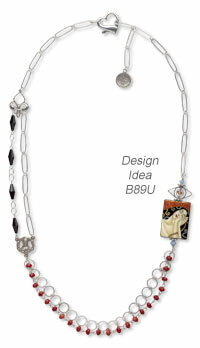 Other jewelry pieces convey a Twilight story or concept such as Design Idea B89U featuring a painted black onyx focal with a woman sleeping, a sterling silver eye bead and a topaz crystal. This piece represents Edward's sentiment of Bella: "I like watching you sleep." The topaz crystal symbolizes the color of Edward's eyes. 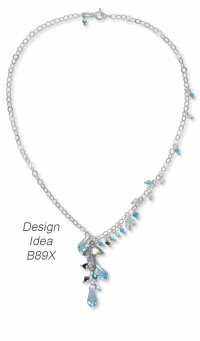 Make the most of the Twilight phenomenon by creating jewelry pieces inspired by the story and characters, and be ready to show them off by mid-November 2011 when the next "Twilight" film installment, "Breaking Dawn," materializes in movie theaters. In the first book, the origin of Carlisle is told and conveys his human occupation and his father's obsession. Carlisle's legacy in his vampire life is his capacity for compassion and kindness which is why he still owns his father's cross. 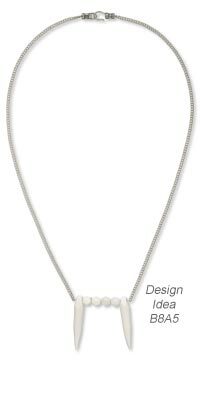 This necklace is inspired by the climate of Forks which is described as being under almost constant cover of rain, a climate that enables the Cullen vampire clan to walk about freely in the town of Forks. In the first book, Edward is introduced as a very accomplished person who has a unique talent for composing music. After ages of not composing or playing music, he meets Bella. He then writes and plays a beautiful lullaby just for her that shows how happy he is to finally have found love. A charm bracelet marking circumstances and milestones in Bella's first year in Forks such as her long flight, the unending rain, the high school mascot, the baseball game and prom. 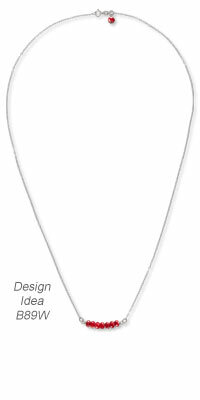 This necklace represents the apple, commonly referred to as 'forbidden fruit', which is the key theme and symbol for the book cover of Twilight. A heart padlock and affirmation ring necklace inspired by the moment when Edward admits to Bella that he doesn't have the strength to stay away from her anymore. A symbolic wolf pendant with moon accent. Inspired by Bella's out-of-character attempt to see Edward by convincing Jacob to restore two junky motorcycles so they can ride together. A symbolic pair of earrings inspired by the circular tribal tattoos worn by the Quileute Wolf Pack. 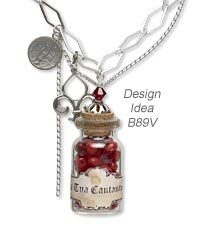 Design inspired by a Latin phrase, "La Tua Cantante" used by the Volturi that describes the powerful desire Edward has for Bella's blood. Roughly translated, it means that her blood sings to him. 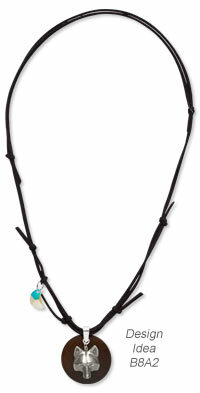 This piece is inspired by the graduation bracelet Jacob gave Bella featuring a wolf charm he hand-carved. With a sense of rivalry, Edward added his own token to the bracelet: a large heart-shaped diamond that was once his mother's. Inspired by the snowy marble-like stone the Twilight vampires resemble. 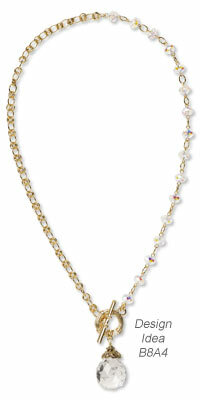 Inspired by a piece described in Breaking Dawn--Bella receives a diamond necklace of priceless worth as a gift. Representing the common theme of all vampire movies: blood. Even though the Twilight vampires are not portrayed with fangs, this fang-style necklace is inspired by the moment when a human crosses over into vampire eternity. 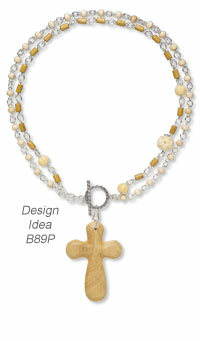 Design inspired by the vintage necklace Bella finds. 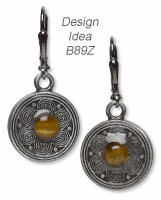 Marble-like earrings are inspired by the cover of the Breaking Dawn book and representing Bella being used like a pawn. We would like to share some of the customer comments we received in response to the article, "Style Snapshot: It's Twilight Time," featured in an email exclusive. Please keep in mind that the comments expressed below are those of our customers and do not reflect the views of Fire Mountain Gems and Beads. "THIS IS A FABULOUS ARTICLE ... SUCH IMAGINATION ... THANK YOU."